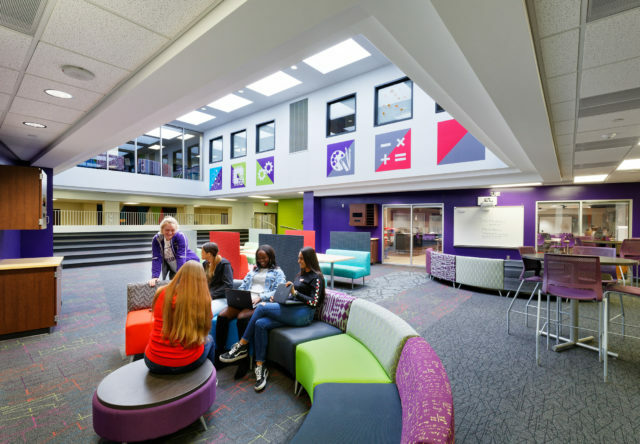 A collaborative approach to renovation and expansion at Middletown High School has led to an educational transformation for students, staff and the community. 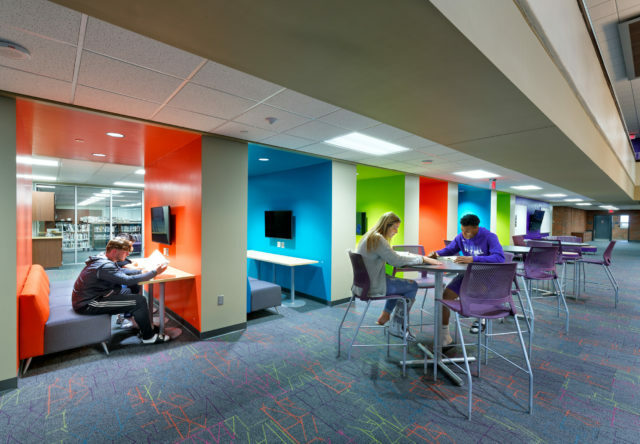 The original 1960s-era “cells and bells” design left the school with many spaces that were unsuited for 21st century teaching and learning. 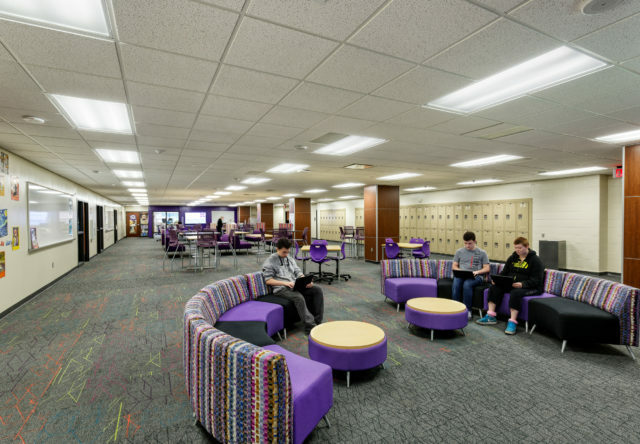 Renovations opened and combined spaces to create flexible, engaging learning environments and new opportunities for students. 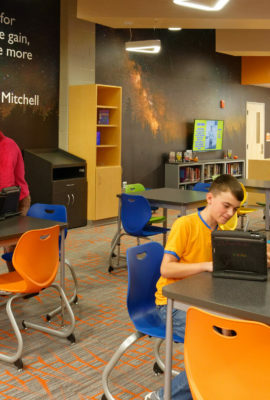 The modernized school gives students the flexibility to work independently, in small groups or in large groups, while supporting them with integrated technology. 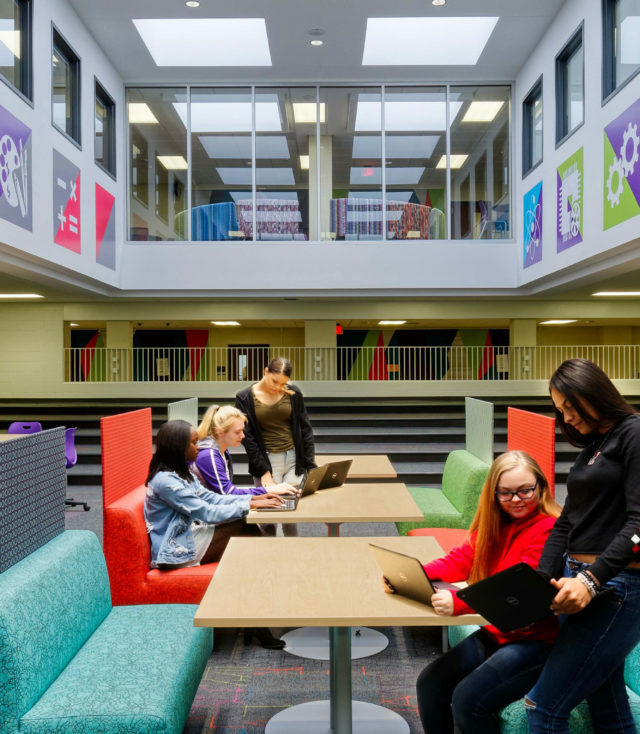 From the STEAM Atrium to the Learning Café to the brand new sports arena, the project has transformed the educational community and instilled a newfound sense of pride in students. 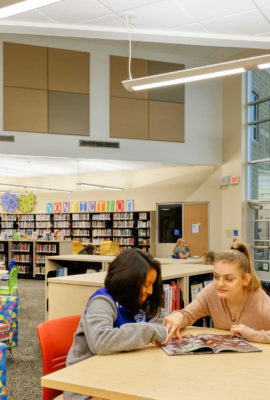 A modernized high school and a new middle school are supporting an education transformation for Middletown City Schools. 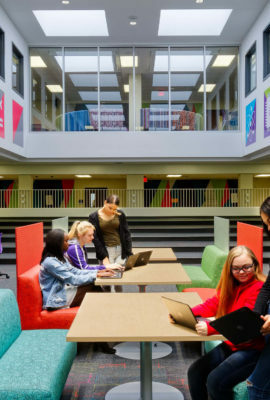 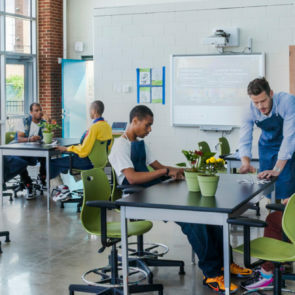 Learn how Fanning Howey partnered with the district and community to provide students with future-ready learning environments. 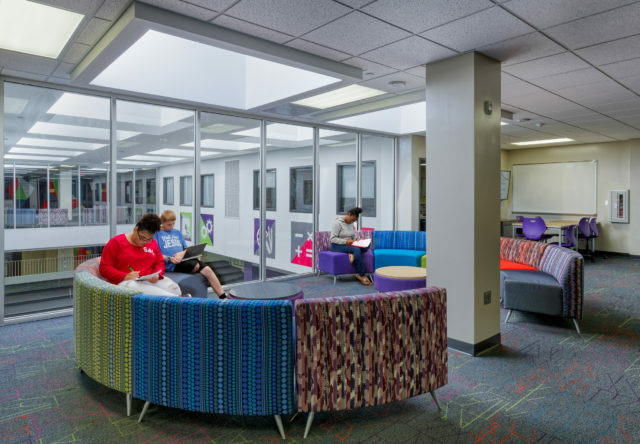 Originally two floors of internal classrooms, renovations carved out space to create a new STEAM Atrium introducing daylighting, transparency and improved circulation. 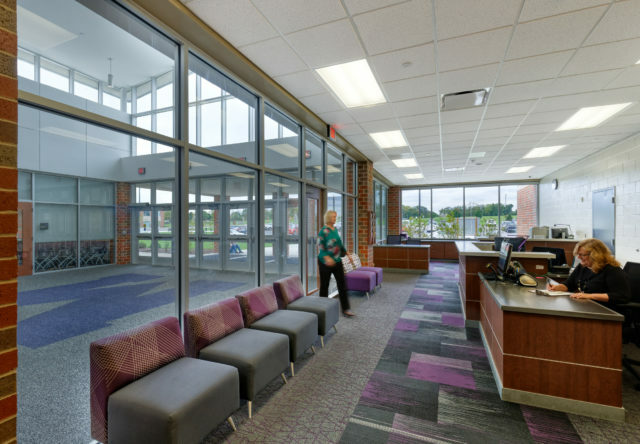 Interior glazing provides second-story views overlooking the activity of the STEAM Atrium and daylighting into adjacent interior rooms. 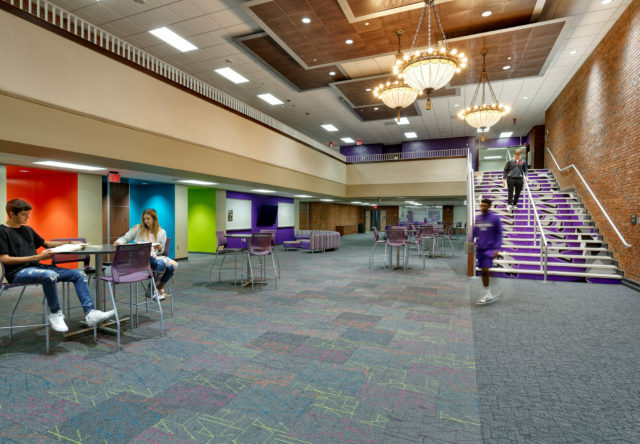 The renovation of the old main lobby creates an open, inspiring entrance to the central Learning Café and a gathering place for students. 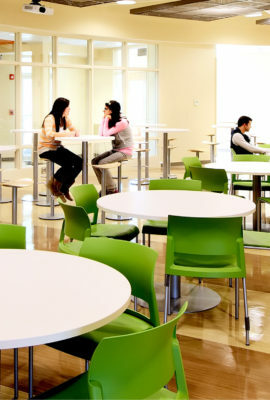 The Learning Café serves as the hub of the school. 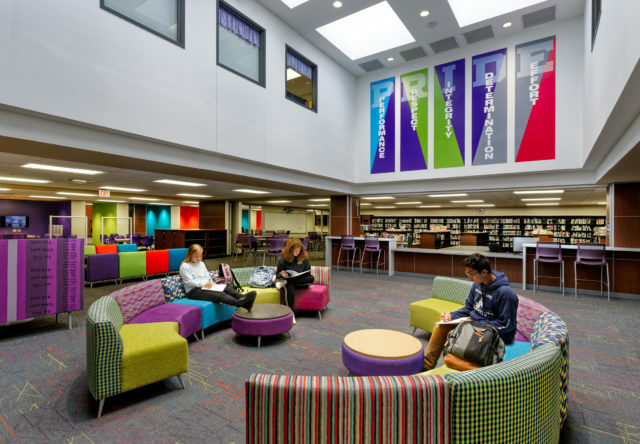 Its flexible design makes it a popular destination for dining, collaboration and research in the adjoining media center. 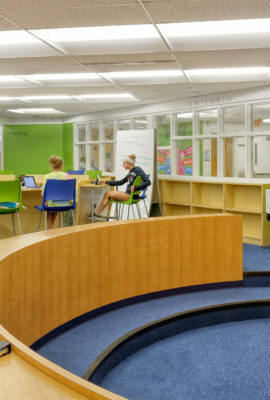 From the learning commons to the reorganized classroom wings, every space is a learning space thanks to the school’s student-centered design. 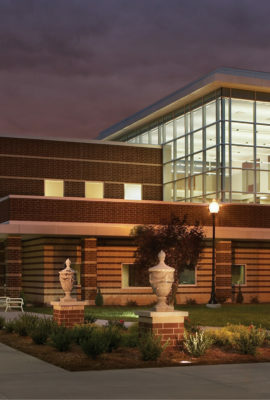 The new Wade E. Miller Arena serves as a community centerpiece and inspires pride in students. 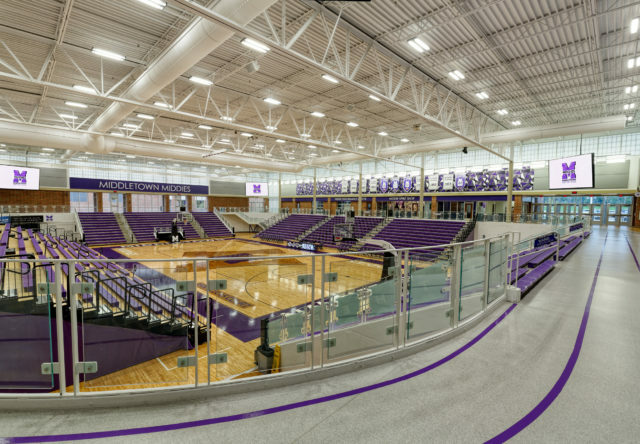 The arena features a professional lighting and sound system, a walking track, strength center, spirit shop, multipurpose room, community room and trophy displays. 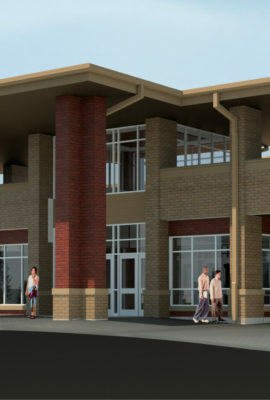 These spaces have been used for community meetings, professional development and career fairs in addition to athletics. 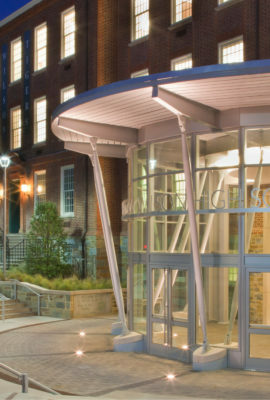 Security improvements include a new secure-entry vestibule to ensure a safe and comfortable learning environment for all. 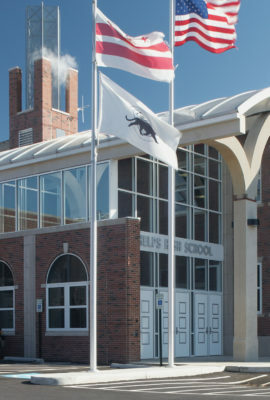 We ended up with a product that is far better than we could have ever asked for. 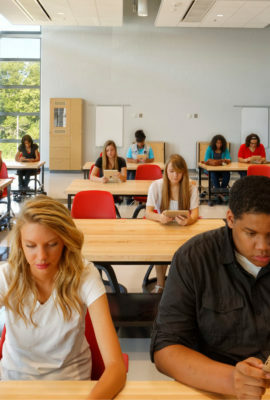 This is going to change learning and change the results of this community drastically over the next two or three decades.